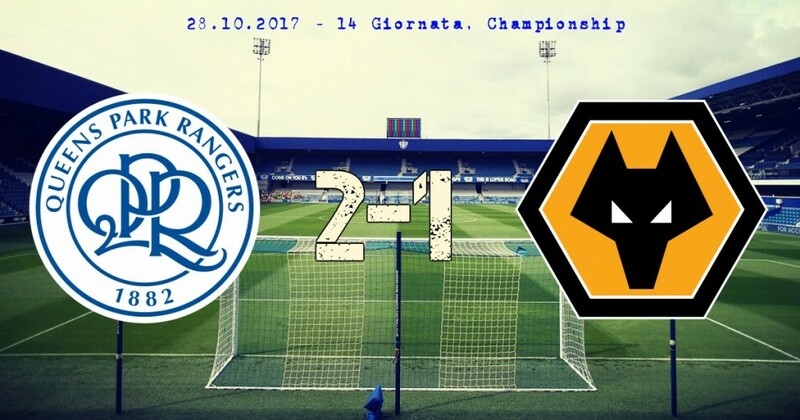 QPR (3-5-2): Smithies, Robinson, Lynch, Baptiste, Bidwell, Freeman (92′ Furlong), Scowen, Luongo, Cousins (66′ Wszolek), Washington, Sylla (66′ Smith). In panchina: Lumley, Wheeler, Mackie, N’Gbakoto. Wolves (3-4-3): Ruddy, Miranda, Coady, Batth, Douglas, Ruben Neves (84′ Marshall), Saiss, Doherty, Teixeira da Silva, Bonatini (71′ Enobakhare), Ivan Cavaleiro (57′ Costa). In panchina: Norris, Bennett, N’Diaye, Boly. Ammoniti: 46′ Bidwell, 79′ Luongo, 94′ Saiss, 95′ Lynch.